Hello everyone, I just wanted to say the BIGGEST thank you for helping me to reach 1,500 followers… now it’s time for the next hurdle! 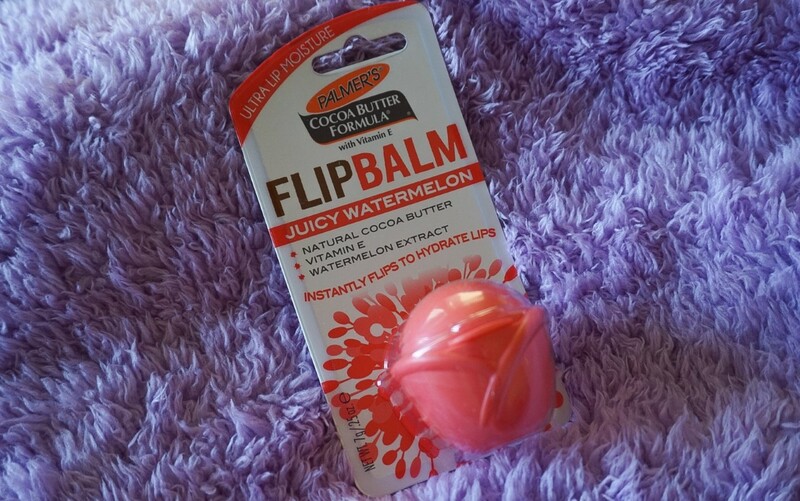 Anyway, today I’m going to be reviewing the incredible Palmer’s Watermelon FlipBalm. The PR team sent me this (along with a cleanser, which I’ll review soon) a little while ago and upon first impressions, I didn’t think much of it. Before I tried both products, I didn’t know much about the brand apart from the fact that it was cruelty-free, paraben-free and the products maintained that gorgeous (but sometimes sickly) cocoa butter scent… I’m sure we’ve all sniffed/tried their stretch mark cream at least once before! Granted, Vaseline was a trusty favourite for a large proportion of this time, but as I got older, the petroleum consistency became less appealing and I was on the hunt for something a little more effective (gone were the days of lending someone my tin and it returning with a dent in the middle). …and it’s safe to say that the Palmer’s FlipBalm has become a firm favourite for pre and post lipstick application. Honestly, I cannot praise it enough! The cocoa butter leaves my lips intensely nourished from the very first application, the watermelon scent/flavour are incredible, and don’t get me STARTED on the flip outer – think EOS but a little less round (my one gripe being that this has popped open in my bag on one or two occassions). So, although it might not have seemed like a game-changer upon first glance, it really is. If you like what you read today, please follow my blog! I love lip balms with intense moisturization!!! This seems to be the perfect fit!